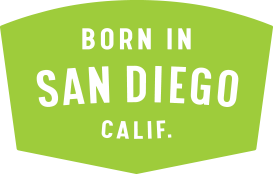 About Us | Green Flash Brewing Co. ABOUT US – Green Flash Brewing Co.
Part legend, part luck, the elusive green flash is a San Diego sensation. But to us, it’s more than a burst of brilliant green light as the sun sets into the sea – it’s a magical moment that signals the end of an extraordinary day and the start of an epic night on the horizon. Our Brewmaster, Erik Jensen, and his talented brewing team have developed an award-winning assortment of specialty craft ales that are uniquely Green Flash. After releasing the game changing West Coast IPA, our beers developed a loyal following of craft beer lovers. We remain steadfast in our commitment to a beer first philosophy. For that, we are celebrated by beer enthusiasts worldwide. To keep our fans thirsty for more, we consistently produce experimental, limited-edition and seasonal offerings in addition to a solid lineup of long-time favorites. Through our trailblazing approach to craft brewing, we have established a benchmark within the craft beer community. Our award-winning beers are on draft and in bottles at restaurants and retail outlets near you. Every person on our team contributes to the success our beers, and we rely on them to continue to bring a new, fresh approach to brewing beer. 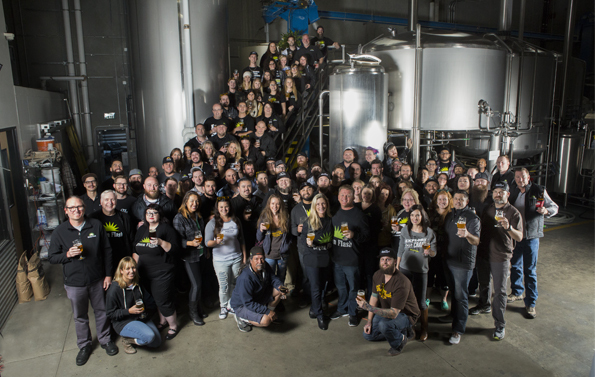 Cheers to the team that brews, bottles, markets, sells, and delivers the brews of Green Flash Brewing Company. From humble San Diego beginnings came true enlightenment for this leading craft brewery. Mike and Lisa Hinkley established Green Flash in 2002. Today, our talented team of like-minded craft beer enthusiasts embrace the Green Flash culture and brand vision with passion and zeal. Green Flash operates a full-scale brewery and tasting room in San Diego, and a Brewhouse and Eatery outpost in Lincoln, Nebraska.